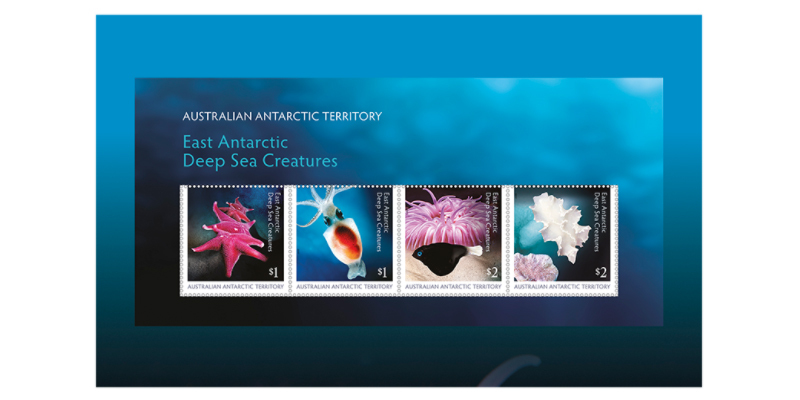 The Australian Antarctic Territory is located 3,000 kilometres to the south of the Australian continent. 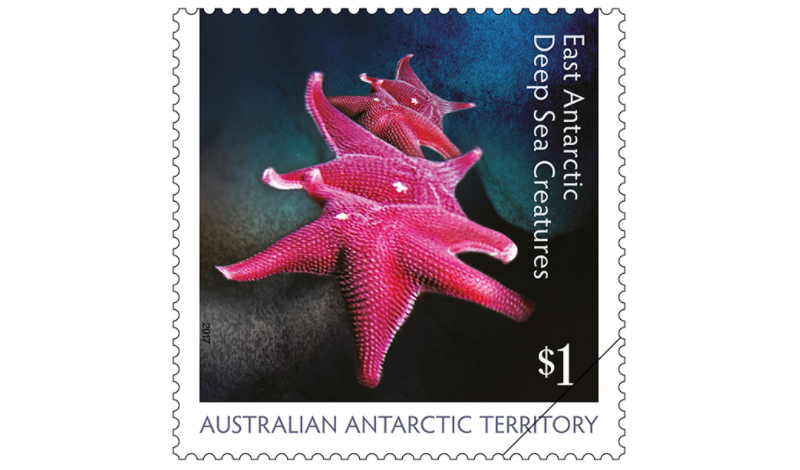 The huge continent of Antarctica occupies 13.5 million square kilometres and of this area, the vast Australian Antarctic Territory makes up around six million square kilometres. This region, almost entirely covered with permanent ice and snow, is equivalent to around 75% of the land mass of Australia. 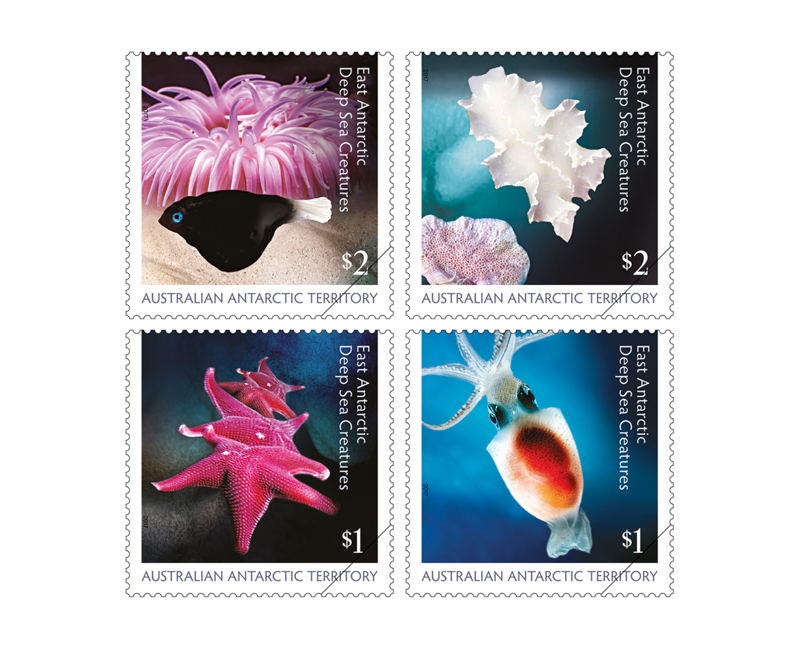 The AAT was placed under Australian administration in 1933 and today Australia maintains three permanently manned scientific stations on its Antarctic territories and a fourth on subantarctic Macquarie Island. 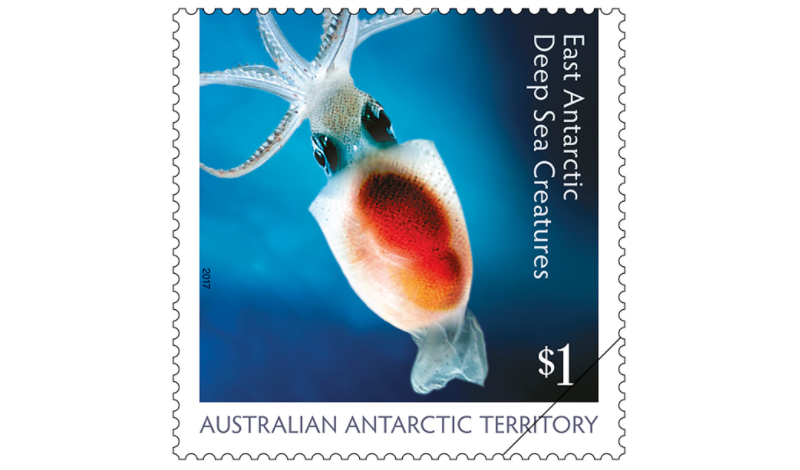 East Antarctica makes up two-thirds of the Antarctic continent and includes the 5.9 million square kilometres of the Australian Antarctic Territory. The East Antarctic ice sheet flows off the Antarctic continent into the surrounding Southern Ocean. 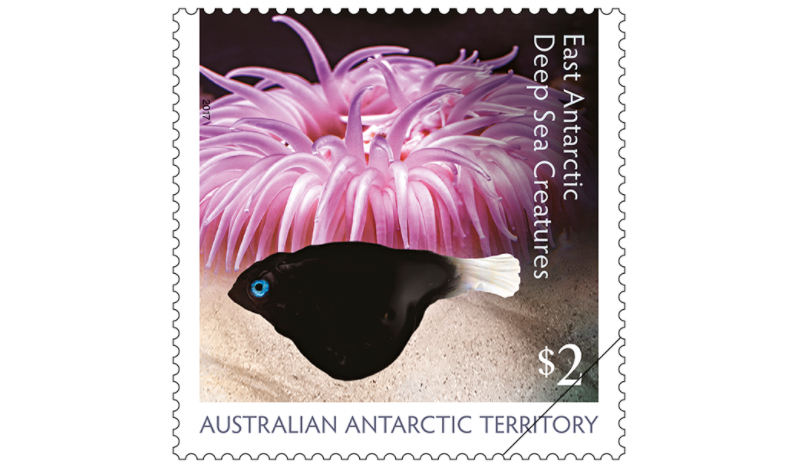 Many species, including penguins, seals, seabirds, corals and fish rely on this pristine environment for survival. 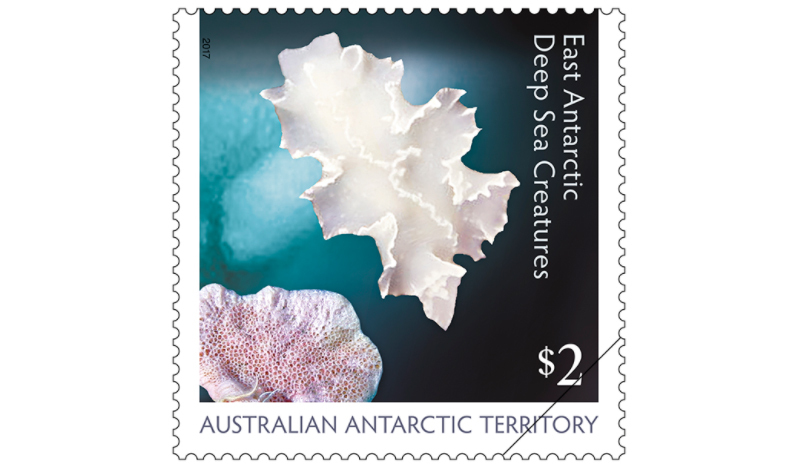 This stamp issue features several deep sea creatures that contribute to the unique biodiversity of the waters off East Antarctica. PNC 2017 Issue 03, limited to 7,500.